I am a member of the Church of Jesus Christ of Latter-day Saints. We are sometimes known as Mormons. The reason for the nickname is that we believe The Book of Mormon to be a companion scripture to the Bible. We believe The Book of Mormon to be the word of God, and we believe that it is another testament of Jesus Christ. I’m not generally a comic book fan, but I had heard about the comic book adapted from The Book of Mormon, and I have to say that I was curious. When I was approached to write a book review of The Golden Plates #1 Escape From Jerusalem I agreed out of curiosity. What did I think? Keep reading to find out! ​The first 6 issues cover the first 145 pages (27%) of the Book of Mormon, from 1st Nephi through the Words of Mormon. This adaptation is a fun and enthralling to way to help older children and teens understand and enjoy the Book of Mormon in a format more advanced than simplified children’s stories or scripture readers meant for young children. So what did I think? Well, my first impressions were definitely skeptical. As I said, I’m not a huge comic book fan. They’ve never interested me, so I wasn’t sure what to expect. At first glance, the cover art includes a picture of an angel, and I think the angel’s a little creepy looking. I think it’s consistent with the comic book art, but it is a little disconcerting. Other than that, the art is very well done. It’s well drawn and colored. I think it does a good job depicting the characters—except the angel, as I stated previously. I also liked the use of all the different colors. The story is taken from scripture, and I know it quite well. For those who may not know the story, it’s laid out well and is easy to follow. Instead of quoting The Book of Mormon verbatim, it tells the story. It’s accurate in its depiction and adaptation. There is some made-up dialogue, but it follows what I think the people would say in those circumstances. There are different color text boxes or comment bubbles to help the reader figure out who is talking. This is just a small piece of the whole story; there are more comic books in the series to continue the story. Overall, I was impressed. I worried beforehand that having scripture in comic book form would feel sacrilegious or not serious enough. We already have picture books for the small children that tell the story, and I think this fulfills that same purpose for the older children and YA. It is not intended to replace actual scripture study, but to help the older children and YA learn and connect with the story. They will then have an easier time reading and understanding The Book of Mormon later on. 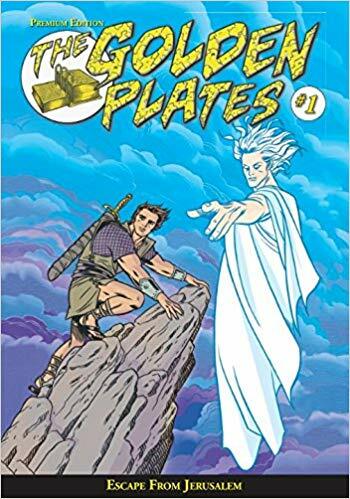 Although you may miss out on many of the scriptural lessons and knowledge, reading The Golden Plates comic book will help you learn the story. For those older children who struggle to understand scriptural wording and language, I think this will help them a lot. I think I would just make sure to differentiate between fictional comics and this one, which tells a true story. It’s really good, but it just has a lot of extra details. The picture of Adam and Eve made me a little uncomfortable, and the angel is a little creepy. I already knew the story really well so it didn’t really help me understand it better. Toward the end when Laman and Lemuel are fighting with Nephi, I got confused with who was who. The characters were all kind of creepy. Also I got confused on who was who. But it has good shading and color. I also liked the use of texture. Another thing I liked was the map on page five. I thought that this comic book does a great job of simplifying the sometimes confusing Book of Mormon. This is a great tool that will help children learn to love and understand the Book of Mormon. Overall, I enjoyed this comic book. Peace and love. I debated whether or not to even rate this. It’s scripture. Do you rate scripture? I don’t know really, but we’ll stick with this for now. I always try to explain the scripture stories to my kids in an age appropriate way. Click HERE to find out more about The Golden Plates. Considered one of the all-time great classics of LDS literature, Jesus the Christ is a comprehensive look into the life and ministry of the Savior. Written at the request of the First Presidency by the Apostle James E. Talmage, and penned from an office inside the Salt Lake Temple, this volume is more than a simple outline of the Savior’s life. It presents a far-reaching view of the Savior-including His life in the flesh, His antemortal existence, and His activities across time as the world’s Redeemer. Allow this unparalleled work to enhance your knowledge of the Lord Jesus Christ as it magnifies your understanding of the scriptures. Every once in awhile a book comes along that changes your life. As you read it, the words influence you so much that you will never think the same way about the subject again; you will never be the same. A few books I’ve read in my lifetime have made me feel this way. Believing Christ by Stephen Robinson was one, Les Miserables by Victor Hugo was another. And today I add Jesus the Christ by James E. Talmage. It’s hefty, for sure! The edition I read has 793 pages, and it is not an easy read. It took me months to read. James E. Talmage was a very intelligent man, and his vocabulary is off the charts. I had to look up the definitions of many words. It’s strange, because at first it took me forever, but by the end I was in the groove, and his style and language became easier to understand. This is the most comprehensive book on the life and mission of Jesus Christ that I have ever seen. It’s incredible. It begins with why we need a Savior. Then it takes you through many of the prophets of the Old Testament that prophesied about the coming of a Savior. A Messiah. It delves into the lives of Mary and Joseph and the birth of Christ in Bethlehem. 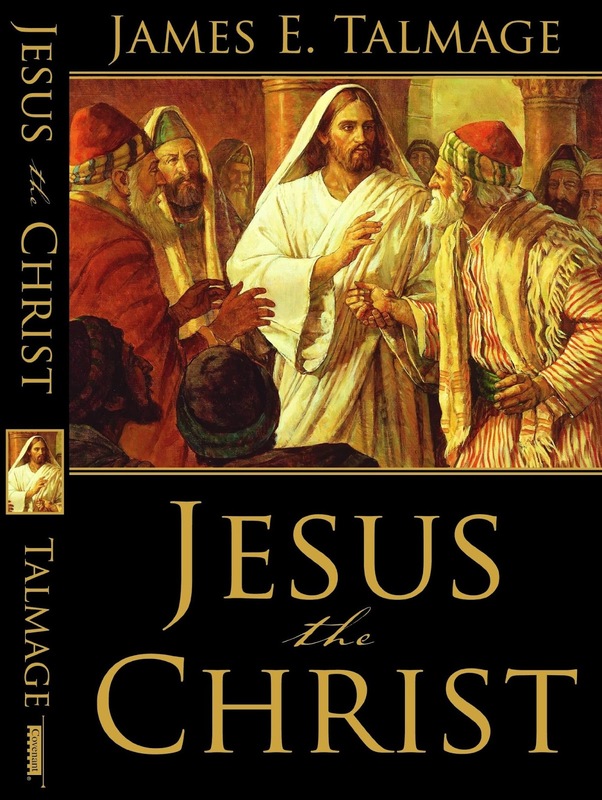 Talmage takes you step by step through the New Testament and the life of Jesus Christ here on earth. He is very comprehensive in his writing. He discusses Christ’s teachings and miracles. I loved learning about life in Jerusalem and the surrounding areas; who the different groups of people are and how they came to be. The events take on different meanings when you know more about the context in which they happened. Sometimes when I’m reading the parables of Christ I understand their meanings and sometimes I don’t. This book explains them all, and it helped me so much. He goes into detail about the symbolism in the writings of the New Testament, which, once again, is very helpful in finding new meaning in the words on the page. One thing in particular that helped me was learning about the difference between the Pharisees and the Sadducees and scribes, the Samaritans and the Jews. It was also extremely helpful to learn about the structure of the Roman government in Jerusalem, and who was in power over what. The detail Talmage puts into his description of Jesus Christ’s Atoning sacrifice helps you to understand the importance of this moment. Christ’s agony in the garden is unfathomable by the finite mind, both as to intensity and cause. The thought that He suffered through fear of death is untenable. Death to Him was preliminary to resurrection and triumphal return to the Father from whom He had come, and to a state of glory even beyond what He had before possessed; and, moreover, it was within His power to lay down His life voluntarily. He struggled and groaned under a burden such as no other being who has lived on earth might even conceive as possible. It was not physical pain, nor mental anguish alone, that caused Him to suffer such torture as to produce an extrusion of blood from every pore; but a spiritual agony of soul such as only God was capable of experiencing. No other man, however great his powers of physical or mental endurance, could have suffered so; for his human organism would have succumbed, and syncope would have produced unconsciousness and welcome oblivion. In that hour of anguish Christ met and overcame all the horrors that Satan, ‘the prince of this world’ could inflict. Next, Talmage takes you through Jesus’ arrest and trials before Herod and Pilate. Then he thoroughly discusses Christ’s death, burial, and resurrection. At the end, he goes into some detail into the lives of the eleven apostles and what occurred after they were all gone, and he even goes a little into the dark ages. This is an amazing book! It takes a long time to get through it, but it’s worth it. 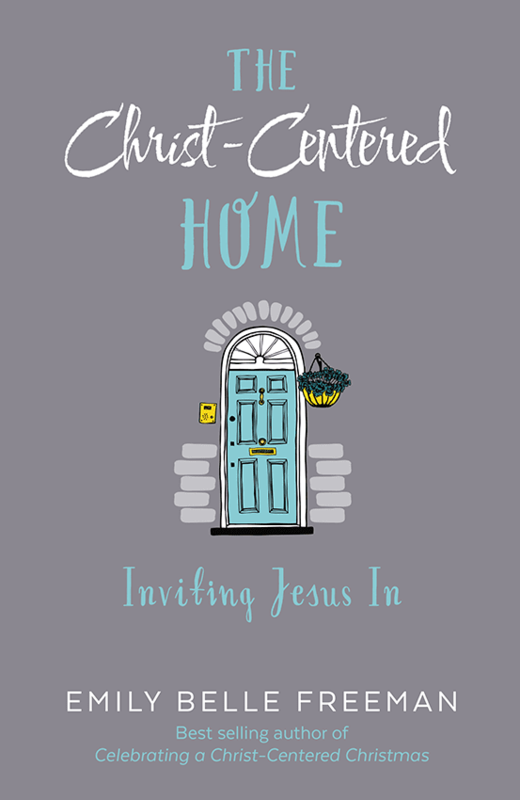 It was written by a member of the Church of Jesus Christ of Latter-day Saints (sometimes known as Mormon or LDS), but anyone wanting a better understanding of the life and ministry of Jesus Christ will benefit from reading this book. I promise it is worth the effort. Your understanding and love for the Savior will grow tenfold. Reading this book changed my perceptions and increased my love and appreciation for my Savior, Jesus the Christ. Diminish the power of doubt by coming to understand why the place of deepest asking is where the believing begins. Stop letting fear dictate the depth of your belief through daily reflections that will restore your confidence in God. Let go of your need to control by discovering what is holding you back from being completely vulnerable to God. I would have more, but I didn’t start actually bookmarking the parts I liked until I was half way through the book. When I first started reading, the different chapters seemed random and unconnected; I was a tad bit confused. However, as the book progressed it all kind of came together, and I loved how Ms. Freeman explained everything. 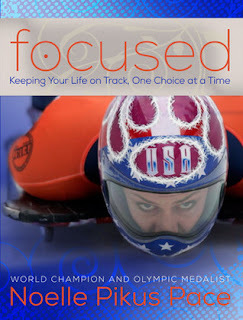 Her insights and examples are very personal and touching. It’s easy to get caught up in your trials and think that everyone else has it good, but when you read her book you realize that everyone goes through difficult things. I thoroughly enjoyed learning from Ms. Freeman. She does a great job of breaking down well known biblical stories and helping you see the application from the story in your life. Here’s an example from the book. The biblical story she is referring to is Joseph. His brothers threw him into a pit and eventually he was taken to Egypt as a slave. He was thrown into prison and ended up interpreting the Pharaoh’s dream. Pharaoh was so impressed that he put Joseph in charge of storing the food during the good times in preparation for the upcoming times of famine. Joseph’s brothers came (not knowing who he was, of course) and asked for food. Joseph was able to provide for his long-lost family because of the experiences he had been through. Joseph being able to provide for his family after many years was the miracle. So “the truth of it is that the trials are what enabled Joseph to be in the exact place God needed him to be. To provide the rescue. To prepare for the deliverance. To orchestrate the miracle God had in mind from the very moment Joseph was thrown into the pit.” Looking at my (your) trial from this point of view puts it in a whole different perspective. I loved this book. It is a bit random at times, seemingly jumping from one experience to another, but in the end it gave me a better insight into the trial I’m going through, and it allowed me to realize that I’m not in control–thank goodness! !–God is in control, and he can see the whole picture. As a mom it’s hard to let go of that control, but if I (we) can, then I’ll (we’ll) be able to see the miracle at the end. Thank you Ms. Freeman, for helping me see this long ordeal in a better way, and for helping me to trust God with Even This. I highly recommend this book to anyone who is suffering or going through tough times. Have faith! God is good, and he will take care of us if we put our trust in Him. I remember exactly where I was and what I was doing when I heard about the Sandy Hook mass shooting. I was driving around town running errands; I had the radio on when a breaking news story came on. Immediately I turned the station to my local news station, and listened in shock to the details. I was sobbing as I drove; tears streaming down my face. There had been shootings before, and they were horrible, but this, this was beyond that. This was pure evil. When I had the opportunity to review this book I accepted because I was so drawn to that story. 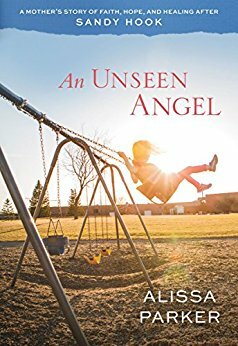 I knew it would be difficult to read, but I wanted to hear Alissa’s story. Well, I was correct-this is not an easy book to read. I cried most of the way through it. However, it is well written, touching, and full of faith and hope. Alissa did a very good job of telling the story with all it’s ups and downs, and with its hard days and good days. I liked that she was very real in the book. There are darling pictures of Emilie throughout the book, and it just breaks your heart to recall the tragedy of her death. I think the real story in the book is how Alissa and her family were able to heal and find hope after Emilie’s passing. I loved that she opening spoke of her faith, and how it may have even wavered, but in the end it brought her comfort and peace. I truly believe that we will see our loved ones again, and that hope helped Alissa through the difficult days. Hearing about the small miracles brought me to tears. Even though this is a heartbreaking story to read, I was glad I did. Alissa and her family are truly an inspiration. Recommendation: 16-17 years old and up. This may even be too much for some 16 year-olds. I’m always looking for ways to improve my family. As a mom, I want my children to be healthy and happy. I also want them to be good citizens, do well in school, and be kind and caring. Something else that is very important to me is that they have a strong foundation of faith built on Christian morals and principles. I want them to know and understand the scriptures, and live their lives knowing the Savior. When I was contacted by the publicist of this book I couldn’t refuse. I had to see if there was anything in this book that would help me achieve these goals; anything that would help me to do better. I am so thankful I agreed to review this book. 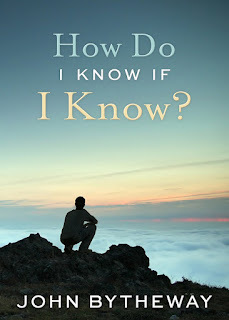 I don’t often review spiritual books, but this one is definitely worth reviewing. This book is not written for any specific religion, it is based on principles found in the New Testament and in the teachings of Jesus Christ. 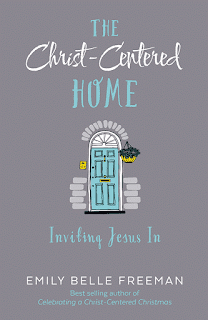 It is written for Christian homes. I love the format of the book. I know that sounds strange, but I enjoyed looking at the different doors that accompany each chapter. They are beautiful. And very symbolic. The book is set up so that families can take one chapter a month and study the lesson. They’re not long, but they are packed full of insight and great ideas. There are questions you may ask yourself, and places to write your reflections. There’s a recipe with each chapter so that while your family studies they may have a yummy treat, which always helps with kids! The verses the stories are taken from are listed so that you may read the story straight from the Bible. On her website Ms. Freeman also has some beautiful printables that coincide with each chapter so that throughout the month you may hang the printable and remind your family what it is you’re working on. I loved this quote: “Perhaps our gratitude to God is best expressed through action rather than words. When our actions become the expression of our gratitude, then our time, our sacrifice, and our obedience become gifts rather than duties.” (pg. 145) And, “Maybe this month, we could focus on performing our assigned household duties as a gift rather than a chore.” (pg. 147) Wouldn’t that be great? Wouldn’t it be great if our children learned to help around the house by giving it as a gift of thankfulness rather than an unpleasant chore to whine and complain about? Hahaha…..we are far from that ideal, but it’s definitely something to work towards! I thoroughly enjoyed this book. I didn’t stop and share with my family because I needed to finish it to review. However, we’re going to start this week! One lesson a month I can do, right? I’m excited to see what happens. Maybe I’ll report back in a few months to let you know. If my children start saying, “Mom, please give me more chores because I’m so thankful you’re my mom” or “Dad, you work so hard to provide us with a nice home! We’re so thankful! Please give us more weeding to do so we can show our gratitude” then I’ll let you know! 🙂 This book is easy to read and implement. 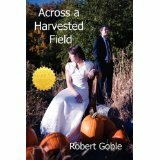 It’s well written with stories that are easy to relate to, and with lots of examples. She has given it a lot of thought and has some wonderful ideas. I highly recommend this for any Christian family that would like to improve their faith, gratitude, and unity. I heard John Bytheway speak many years ago when I was a youth, and he captivated me! He does such a great job of relating to the youth with his humor and stories. This is the first book I have read by him, and I was interested to see if I would feel the same way about his writing as I did of his speaking. I have to say that I was impressed. His writing style is easy to follow and understand, and he uses simple examples to explain difficult things; which makes them easier to understand and follow. He puts things in an engaging and motivating way, and it makes you want to work harder to do better. I think the topic is so relevant too. I have a 14 year-old son, and he could go on a mission right out of high school. There isn’t the chance to spend a year figuring it all out before you go, it’s now! These kids need to be prepared, and it scares me as a mom! What if I haven’t prepared him? What if I haven’t done enough? This book helps the kids to prepare themselves, which is what really needs to happen. We moms can’t do it for them. They need to know–they don’t need to know that we know. This is a short, easy read, but it packs a big punch. I am going to have both my 14 year-old and 12 year-old sons read this book because I think it will help them to determine where they are and if they are doing enough to prepare themselves. I definitely recommend this book to parents and youth alike, those who want to serve missions and those who don’t, it benefits everyone. I know, I know!!! I take a little break from blogging because I’ve been working full-time at my kids’ school (My daughter’s teacher had a baby, and she asked me if I would teach her class during her three month maternity leave. ), and I review a movie! Well……it’s a good one, what can I say?? I still have two weeks left to teach full-time, and then hopefully things will get back to normal around here. I’m a woosy. I don’t know how moms work full-time permanently. It’s insane! Kudos to you all, I have a huge appreciation for all you do! Have you heard this story? It’s an amazing story. Be prepared to cry. Seriously. I heard about this story long before the movie came out; I remember hearing about it in the news, and I couldn’t believe it. What Chris Williams went through is heartbreaking. And yet, he found the courage and inner-strength to forgive. It’s a very powerful message! Instead of writing a quick blurb for you, I’m posting the movie trailer and then another movie that briefly sums up the entire story. 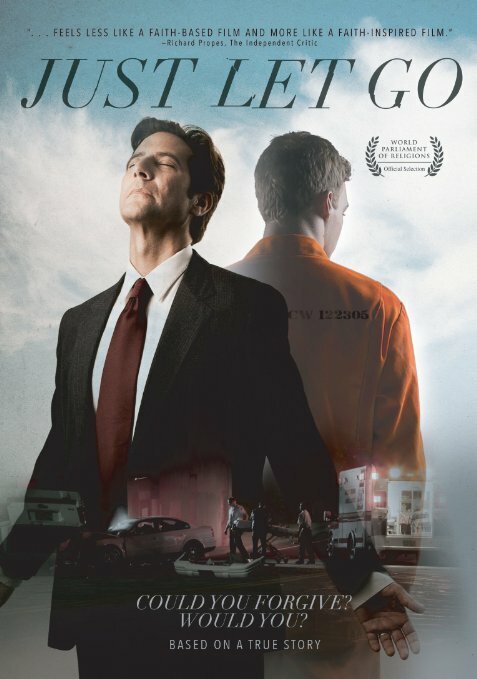 The focus of this movie is learning to forgive. It shows us that even when life is hard, and things happen to us that are unfair and awful, forgiveness will give us peace and allow us to move on in our lives. Forgiving those who hurt us allows us to be free. This movie is so inspirational. Whether you are a Christian or not, this movie will touch and inspire you to be better. I actually saw this movie the night of the Fathom Event, and I was amazed at the ability Chris had to forgive. The bonus features include the discussions by Delilah from that night, and the forgiveness challenge by Desmond Tutu. This movie is rated PG-13 for accident images and thematic material. I took my 14 year-old son with me when I saw it at the theater, and there were some parts that I thought were a little much for him. I was a little uncomfortable with him there, but at the same time, it’s such a good message, and I was glad that he was able to see that. I hope he can learn the lesson of forgiveness now. He was emotional as we left the theater, and I think even though some parts were difficult to watch, the benefit of the lesson outweighed that. The movie is 106 minutes long. I highly recommend this movie! I am a member of the Church of Jesus Christ of Latter-day Saints (you may have heard of it as the Mormon Church or LDS Church). When our young men turn 18 they are encouraged to serve a two year mission. When our young women turn 19 they may also serve a mission, but it is up to each young woman to decide if she would like to go. Young women serve for eighteen months. Missionaries go out across the world to teach people about our church. They pay their own way. Missionaries serve because they love God and His Son Jesus Christ, and they want to share the message of our church. I don’t always review church books because I don’t want it to seem like my blog is too churchy or preachy. However, I have two sons and two daughters, and some of them may choose to serve missions someday, and I want them to be ready if they do. So, I decided to review this one. At first as I was reading this book I began to get overwhelmed and stressed over everything I wasn’t doing that they said I should be doing. I didn’t serve a mission when I was younger, so I sometimes feel like I don’t know what I need to prepare my children for. I talked to my husband about some of it, and he calmed my fears. He let me know that it’s okay. This is a great guideline, and can be a huge help, but not to get too worried about it because look at what we are doing. We are doing a lot of things right. It made me feel a lot better, and I enjoyed reading the rest of the book. It is written by different women who are mothers, mission presidents’ wives, and some who have served missions of their own. It’s well written, easy to understand, and is full of real-life examples. I loved reading their stories. When you think about it, a lot of what they suggest is stuff we should be doing anyway: saying daily individual and family prayers, family and individual scripture reading, weekly Family Home Evening (Monday nights are set aside as family time where we spend time as a family having fun and learning about the Gospel), church attendance, and teaching our children how to cook, do laundry, etc. A lot of what they say is to make sure our children know how to live on their own by knowing how to cook, how to do their own laundry, how to handle finances, how to work hard, and even how to ride a bike (a lot of missionaries ride bikes around). One of their main points is teaching our children how to live without their technology, which is difficult for many youth today. In the end, I found this to be a really good resource. If I try and check off every box I will make myself crazy, but I’m glad to have a framework and an idea of what I need to do. In some areas I could pat myself on the back, and then on others I have major work to do. This book is well written, with lots of personal stories and examples, and I enjoyed it. I may not be perfect (I know you’re all shocked, right…..I am not perfect??? What?? ), but at least I have an idea of what I need to work on. 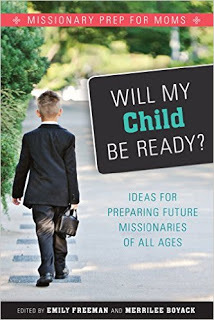 I would recommend this book to any mother who may someday have a child serve a mission. Recommendation: 13 and up. It’s written for mothers, but I don’t think it would hurt for future missionaries themselves to read it. *If you would like to learn more about the Church of Jesus Christ of Latter-day Saints (LDS or Mormon Church) then you may click the link on the left sidebar or visit: www.mormon.org. I need to begin by saying that this author, Mr. Goble, found me on Facebook and sent me this book to review. I thank him for the opportunity and hope that he still “Like”(s) my blog after reading my review. Although I am a member of the Church of Jesus Christ of Latter-day Saints (LDS or Mormon are other sometimes used names), LDS fiction has never been my favorite genre. Unfortunately for Mr. Goble, this book did not change my opinion of LDS fiction. One look at the cover and I knew I was in trouble. I would never have picked this book off the shelf. Having said that, I did read it. I liked the characters in the book, but the whole scenario just seemed too impossible. How would a superstar (comparable to Brittney Spears) end up in Magna, UT? It never explained why she chose to go there or how she even knew where it was. I thought Jordan was a nice guy, but the pieces didn’t really fit together for me. I felt bad that he had lost his family at such a young age, and I could have empathy for him, but I just could not see a widowed man in his mid-to-late twenties canning pumpkins, peaches, and pears. My husband does help me when I can fruit, but he would NEVER do it if I weren’t around. That just never felt right to me, but maybe other men would do it. And then the thought that “Nattie” and “Natalia” might be the same person never crossed his mind as he saw her on the news and in magazines, never? I don’t know. Mr. Goble’s writing style is different. He uses a lot of parenthesis to explain little side-notes that add to the “cheesy” feeling in the book. I was also confused….was it LDS fiction or not? Let me explain: you would expect an LDS fiction book to have references to LDS buildings, church meetings, and standards (not smoking or drinking alcohol, or using profanity), but you would also expect the characters to follow those standards. There was a lot of profanity in this book. Not all the worst words, but a lot of little four-letter words. It drove me crazy. His writing feels forced. He tries in a few instances to have Jordan sound intellectual, but it comes across as someone trying to sound intellectual, not as someone who is actually intellectual. I think Mr. Goble would have made the whole thing feel better if he had taken all the LDS references out and just made it a fictional love story. To all LDS fiction writers everywhere–that is what readers want, just good, clean reads. We are LDS and we consider ourselves normal, everyday people, not a group that needs special books written just for us. Besides, you will get a lot more readers if everyone can read it and not just one group. Anyway, this happens to be one of my “soap-box” topics, so please forgive me for going on. Overall, the middle of the book was the best. It actually had me turning pages to see what happened with the paparazzi and with Jordan finding out the truth. Except that I hated how Jordan went into this mad rage and ruined everything in a split second. His rage was over-the-top. The ending was okay but unbelievable. 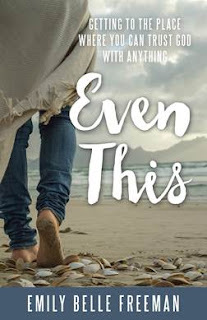 I didn’t hate the book, but I would not recommend it to my friends because I know they feel the same way I do about LDS fiction. If you like the genre and are okay with profanity then I would recommend it. Recommendation: High school and up. I would recommend it if you enjoy LDS fiction and are okay with profanity.